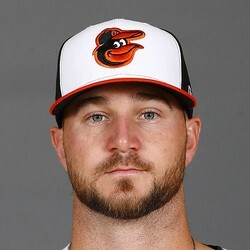 Mike Wright recorded the final two outs on Saturday to earn a save against the Yankees as the Orioles won by a 5-3 score. Wright was slated to pitch in middle relief this season but got a chance to close out the game on Saturday as regular closer Mychal Givens was used in the eighth inning. This shouldn't be a normal occurrence and Givens is the one to own in the Orioles bullpen.